BadLands Clutch pack is a 2900 cubic inch pack that is capable of carrying a 4 day load, and or function as a Day Pack. The Clutch Pack is loaded with pockets, and features. It is a tough pack, capable of enduring adverse situations and weather, and hauling big loads up to 80 pounds. 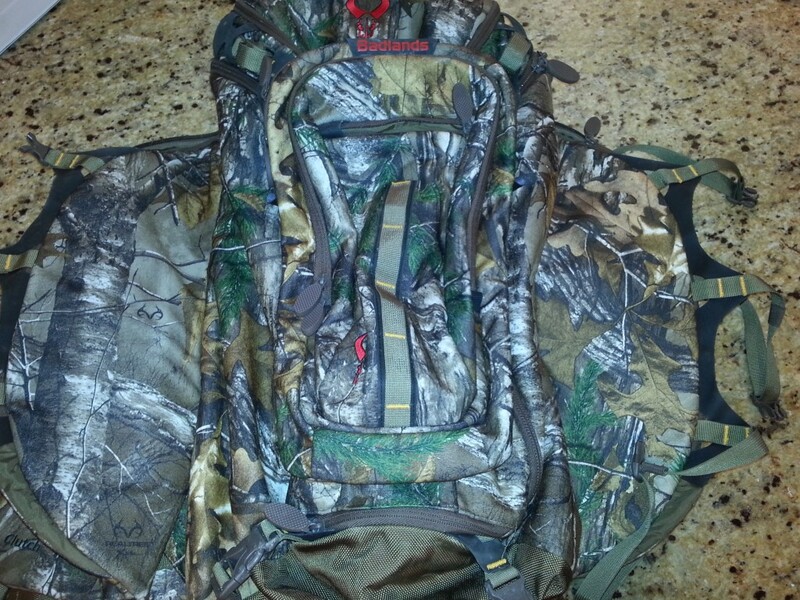 BadLands has been making hunting packs for many years. They have made a name for themselves with the outstanding 2200 pack, and from there NO BONES about it warranty. Break it, and they fix it! AWESOME. 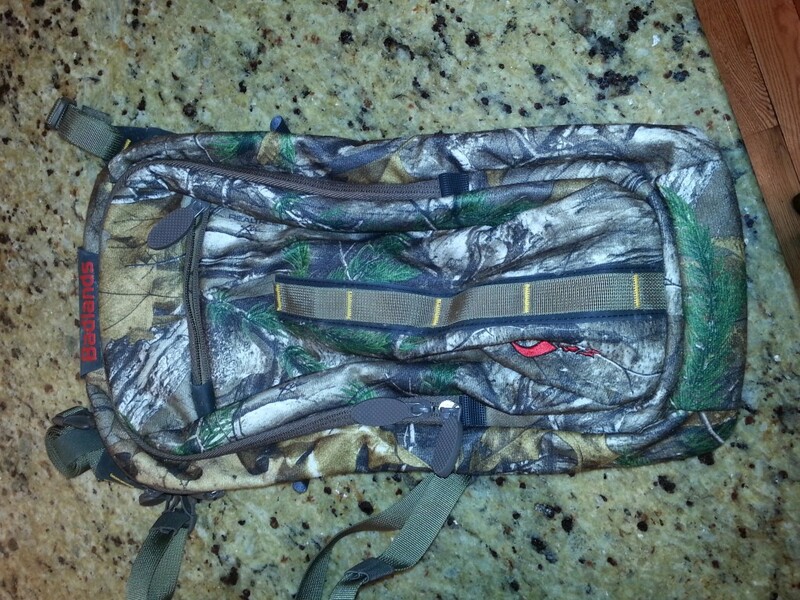 We have been using and testing this pack for over a year now, and have taken it on several hunts. We have also used the pack for our day to day back packing and training trips. The first trip took us to the extreme back country of Central Idaho. Our plan was to put our camp and hunting gear on our backs, and just go hunt for 5 days. We finished each day at dark, and just set up camp where we were at. The BadLands Clutch proved effective for this style of hunting. We were able to pack our critical gear inside of the pack, and then attach a bed role, and a few other items on the outside of the pack. 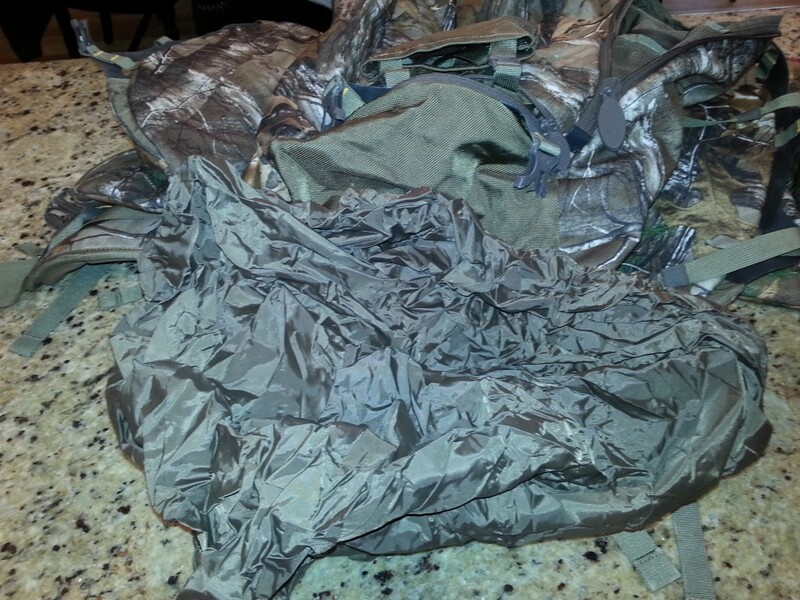 We were thrilled that this pack came with a rain cover stored in the very bottom of the pack. This is about a $30 upgrade that is included in the Clutch. The clutch carried a 5 day supply of gear and food, and hunting supplies. We did feel that the clutch was best suited to a 1-3 day hunt, and would pack about 60 pounds effectively with good comfort. 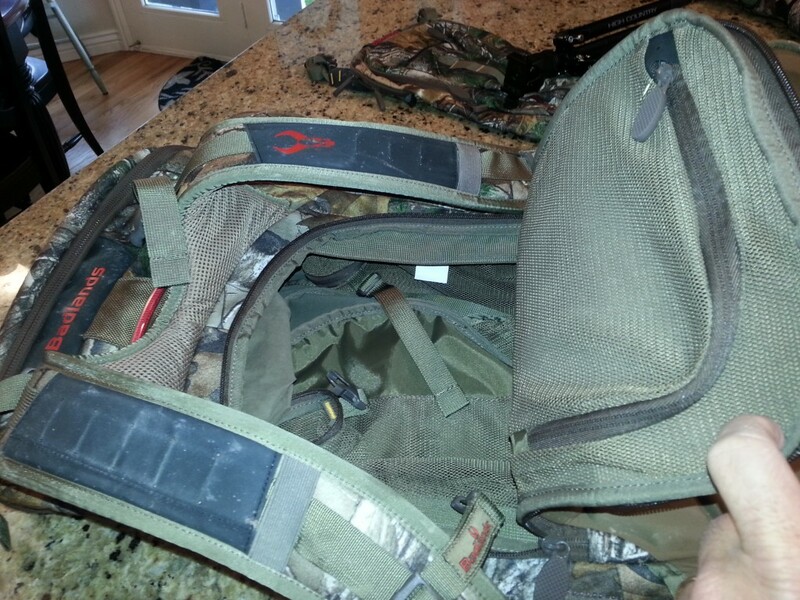 -lower compartment that contains rifle scabbard for carrying a rifle or bow. We were fortunate on this hunt to be successful, and we went in kinda light, and came out very heavy. We were able to harvest both a bear and a deer. We found it very easy to attach an animal to the outside of the Badlands Clutch. We laid the quarters of the animal on the outside of the pack. We then used the side flap to wrap around the meat, and secure the load. In the photo above you will notice the side flaps that wrap around the main compartment and help to secure loads. This side flaps as I call them also have a zipper and are able to handle a few items in them. We used these compartments for granola bars, thin water bottle, and other small items. This pack also has a small pack that attaches to the outside of the main compartment. We used this for items that we would go fast with. Such as a knife, rope, survival supplies etc. If needed you could use this smaller pack for a minimal day excursion. We also used this pack on a Buffalo hunt in Southern Utah. On this trip the pack was just used as a day pack. We felt it excelled for this purpose. We were able to pack it with the essential items for a day long hunt, and found it very very comfortable for this. I generally like a pack with very few compartments, but I found the multiple compartments on this pack well thought out and useful. I liked that I could put my spotting scope on the inside of the pack and keep it somewhat protected. A small to mid size scope works well in the inside pouch. A straight scope fits better than an angled scope. 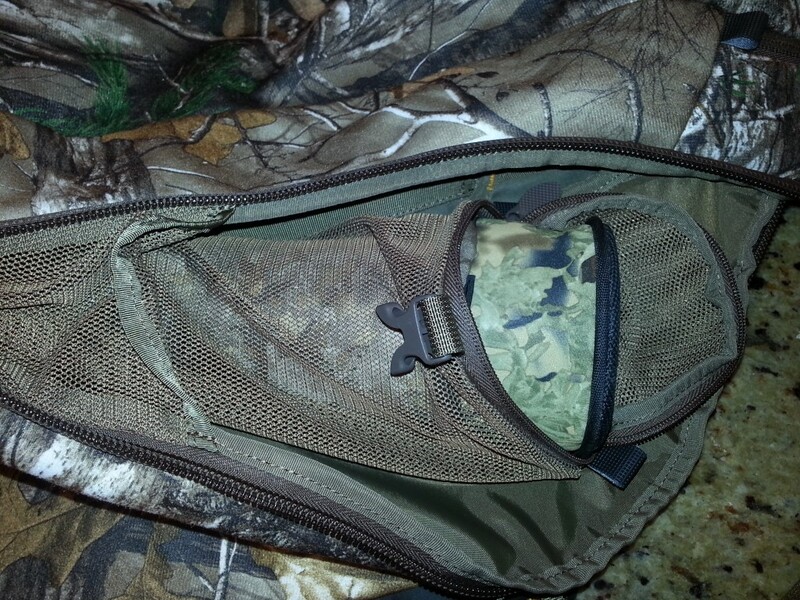 The BadLands Clutch pack is very good choice for a tough hunting pack. The warranty really separates it from other companies. The Clutch is well thought out, and is very functional with its many compartments, and dual access zippers. The clutch is effective for a 1-4 day pack. The BadLands Clutch is best when loads do not exceed 50 pounds for long hauls, and up to 80 pounds for short hauls. 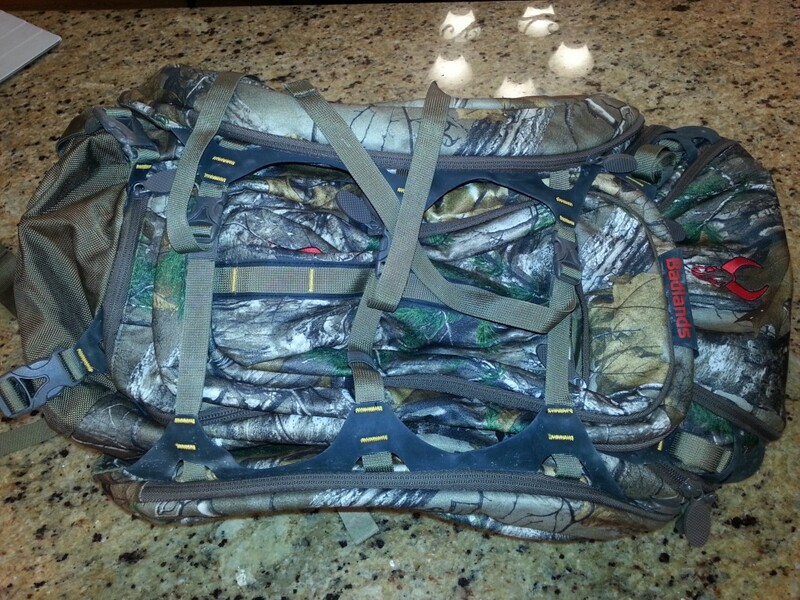 We consider this a buy, and a very good option for a hunting pack. Develop a larger lumbar support. The loads are felt on the shoulders and hips. A larger lumbar support would transfer some of that load to the lower back. What is considered a long haul and short haul? 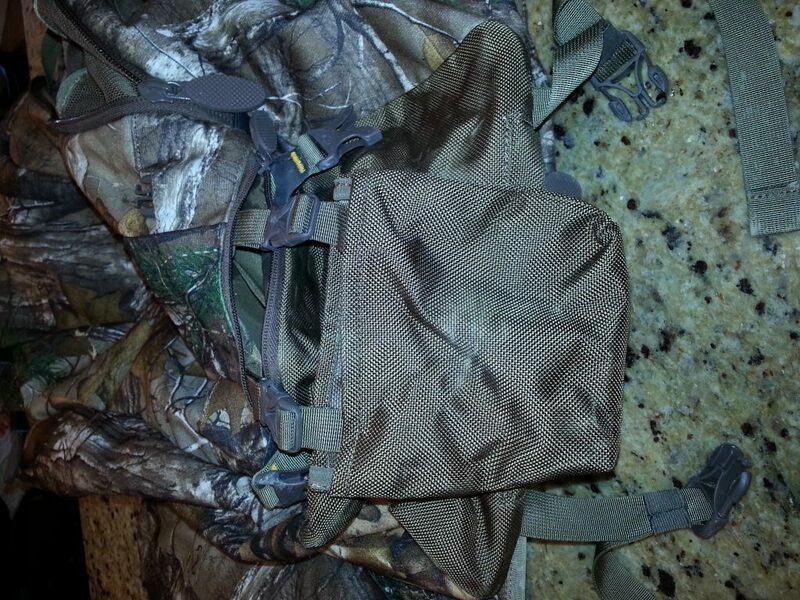 I have this pack put a mule deer buck (deboned) with the head, and my gear about 75LBS, maybe a little more. Packed it about a mile and a half, I thought it carried the load quite well. No back pain no shoulder pain. Great pack for the money!